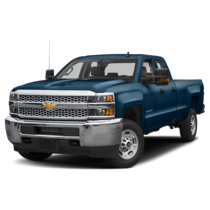 The 2019 Silverado 2500HD delivers as only a Chevy pickup can with heavy-duty towing bolstered by massive torque and horsepower via either a Vortec 6.0L V8 or Duramax Turbo-Diesel. Not to mention a legendary selection of transmissions and available trailering technology. Other confidence-giving features include the Duramax glow plugs for enhanced performance reliability in extreme temperatures, a high-intake induction system that brushes off water and debris intake, and available fifth-wheel trailering hitch. 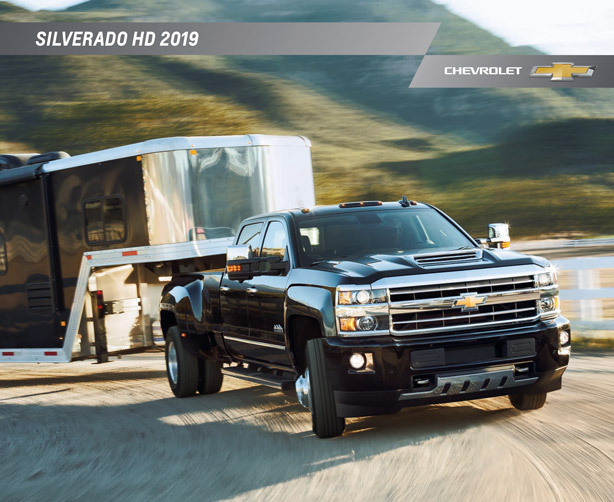 You can view towing specs, payload capacity, engine options, special edition packages, and plenty more details by clicking below to download the 2019 Chevy Silverado 2500HD brochure. Finding the heavy-duty pickup of your dreams is just one click away. If you've made it to this page, chances are you're interested in a 2019 Silverado 2500HD. You can take the next step and see what's available near you by clicking the button below to browse our Silverado HD inventory. Each listing comes complete with photos from the dealership, a list of standard features, pricing information, and any available rebates or incentives. Our listings are updated daily, so you can check back as often as you like and know exactly what's on our lot in Bay City. If you see one you like, feel free to give us a call to schedule a test drive with our friendly and knowledgeable team. However, if you're not finding the Silverado 2500HD you're looking for, let us know and we'll go on the hunt for you.